I acquired this little guy back in November 2008 in a straight up trade for a male Silver Streak I produced. This male Wannabee has the Nerd line Woma blood along with the Spider and Pastel Jungle appearances all showing themselves. I wanted to get into the Woma mutation because of some of the fantastic designers that have been created especially in combination with the lesser platinum mutation and when this male came up for trade, I contacted the individual and we came to a beneficial agreement for both of us. 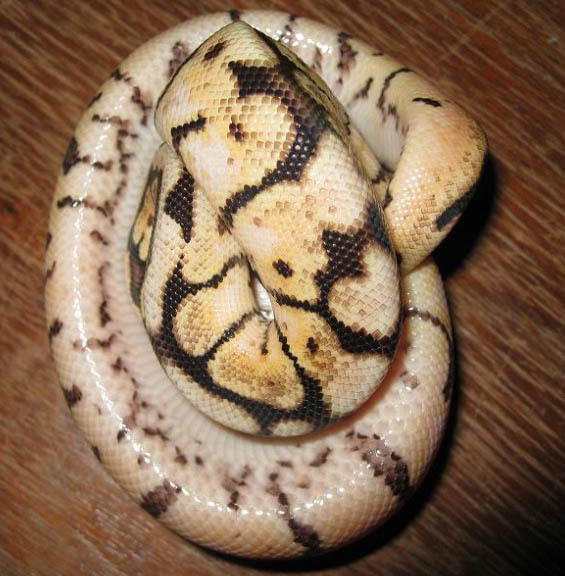 I did attempt to breed him to a female lesser this past season but that did not work out but I did get a clutch of 4 eggs from a female Pastel Jungle so now it is the game of Luck, will I hit on anything really cool? Only time will tell. 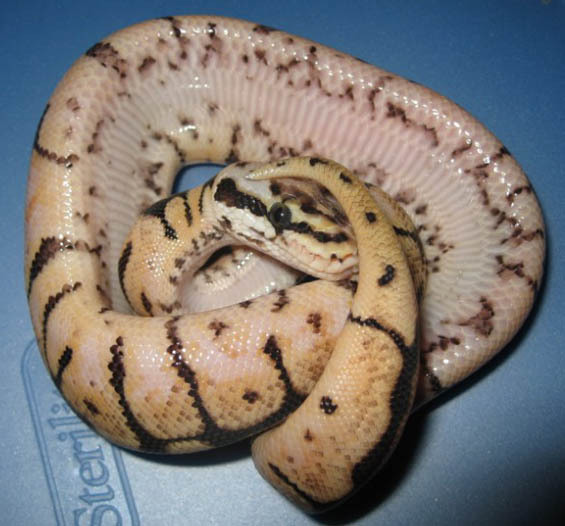 I will be more then happy with a Pastel Woma, or even a Super Pastel Woma or even a Woma Killer Bee. These are all possibilities with the breeding that was done. You will know if I hit since there will be a new category.